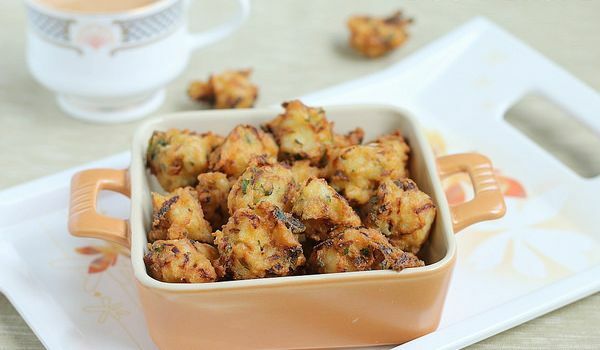 Jhatpat Rice Pakoras is a popular rice snack, perfect in breakfast as well. Learn how to make/prepare Jhatpat Rice Pakoras by following this easy recipe. Take besan in a bowl. Add turmeric, chilli, amchur powder and chat masala. Add little warm water to make a batter. Now, add onion, ginger, green chilies, coriander, potato cubes and rice. Instantly, deep fry in hot oil. Serve with pickle or tamarind chutney.